This is a guest post from Ally who works and writes for homeloanfinder, a free home loan service in Australia. With all the negative press that credit cards have been getting, people have tried their best to stay away from it as much as they can. But getting a credit card is one of the most important things you can do for a good financial health. It plays a vital role in shaping your financial condition which can help you extensively in the future. Your credit card is the foundation in which you will establish a good credit record. This is especially essential since having none is just as good as having a bad credit. Financial organizations consider people with no credit history as a risk because they have no basis on how capable you are in managing your finances. In other words, an unknown credit risk is a liability and will be charged higher in comparison to those with credit history. With a credit card, it allows you to build a reputation and give you a chance to prove that you are responsible with credits. You can show that you are disciplined and can be trusted with other financial obligations by paying off your debts before or when they are due. This will raise your credit score and will be helpful in the future when your credit history is looked at by a number of institutions, such as those that approve loans, insurances, applications, and so on. * As long as you pay your dues, having a credit card gives you instant access to extra fund whenever you need it without worrying about high interest rates. It is the best possible way to produce the money when you need it, rather than to risk your financial wellbeing by borrowing from loan sharks, or shamelessly asking your family or friends to provide whatever amount they can. Having a credit card gives you the purchasing power when you need it most and enough time for you to produce the money that you owe. This is the grace period that becomes a lifesaver to many people, especially in times of medical emergencies. That grace period can also give a huge difference in growing a business, fixing damages, or simply providing the basic necessities. While all these are reassuring, it becomes your responsibility to make sure that your debts are paid in full when they are due so that you will not be charged any interest. * There are some credit cards that provide extra insurance on your purchases from damages, pilferage, or loss. Should there be any discrepancies with your billings; if any of your purchases malfunctions or gets lost or stolen within a specific time from the moment of purchase, your credit card company can, and will investigate it for you and reimburse you of any charges or expenses that you’ve incurred. A product or service can even be replaced or upgraded in some instances. Should you have used cash with your purchase, this kind of protection will not apply. It is useful safety precaution in cases when something goes wrong with your purchase, especially with high priced or non-refundable items. * In addition to protection from damages, theft, or loss insurance, your credit card can also provide you a certain degree of life insurance when you use it to purchase your tickets for travel or vacation. Your credit card usually covers you with a certain amount of life insurance should something happen to you on your journey or your vacation. Accidents are unexpected events, and this is an added security for you and your family should the unfortunate happen. * There are also other travel-related perks that your credit card can offer. It is beneficial to get a credit card that can offer a wide range of travel-related insurances if you are a frequent traveler. This can include insurances for flight delays, missing travel documents, and emergency hospitalization; free seat upgrades, concierge service, and so on. Baggage insurance is also another benefit of using credit cards; should your possessions gets lost during your travel, the credit card company will reimburse you the specific amount as stated in your credit card terms. * Should you find a need to rent a car, you’ll notice that the rental car company will try to sell you some insurance to go with it. Check if the use of your credit card covers you automatically in some of those insurance. If so, you don’t need to pay those additional charges that the rental car agencies usually insist on their customers. This advantage can save you a considerable amount of money. * Ever heard of Airline miles? If you travel a lot, you will love this credit card perk. This is when you earn “miles” whenever you use your credit card. You can redeem these miles to get free tickets to certain travel destinations, which depends on the variety of the credit card you are using. Some credit cards even offer cash back for their purchases. The rebate percentages differ from each other, but it is like getting a discount in the percentage for all your purchases. Other credit cards will also allow you to earn points which you can use to claim free gifts, or even use it as good as cash. * Before you think that credit cards are insecure, think of how many people would prefer to bring their credit cards rather than cash when they are on the go. Credit cards are discreet and accepted almost anywhere. Bringing cash however brings a lot of unwanted attention and only exposes you to danger, especially when in an unknown place. Once cash is lost, it’s gone forever. With a credit card, you haven’t really lost anything except the plastic card. A credit card can be conveniently reported with a phone call and deactivated immediately until such time that it is replaced. These kinds of advantages are valuable but vary from credit card to credit card. 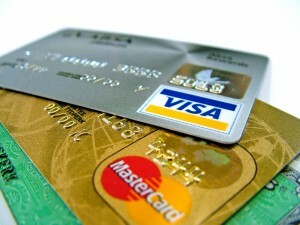 It is advisable to find out what exactly is the coverage of protection your credit card offers. Some do not offer one or more of these perk; if they do, the terms should tell you the extent of protection that the credit card has. Knowing that you are backed by insurances whenever you use your credit card for any purchases can put your mind at ease save you from situations when you least expect it. Credit cards have many advantages, the one you mentioned in this article. Theflip side is the possibility to spend more than you earn. This is a bad spiral in our society. Spending more and more of our future spendings. We want things now, no more waiting. Fast loans are augmenting and debt is enslaving us. But everything depends from what perspective you are looking at it. I use credit card for almost everything. Greed has taken over the general populace. They want to chew more than they can digest. There is nothing wrong with using credit card. What’s wrong is people’s attitude and their mindset. Borrowing money is renting and whatever you rent, you must return it to its original owner on time and intact.